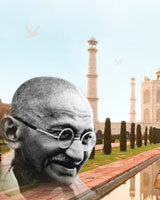 The South India Pilgrimage Tours is one of its kinds. 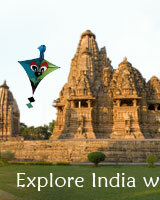 It takes you to the ancient temples situated in South India. You get a chance to see the temples that were built thousands of years ago. This tour will surely help you in revitalizing your body, mind and soul. The places that will be covered in this tour are, Chennai, Kanchipuram, Mahabalipuram, Chidambaram, Gangekondcholapuram, Tanjore, Trichy, Madurai, Periyar, Kumarakom, Alleppey, Kochi and Kovalam. You shall be received at the Chennai Airport by our representative, from where you shall be taken to the hotel. You shall go for a sightseeing tour of the city in afternoon and come back to the hotel to retire for the night. After breakfast leave for a sightseeing tour of Chennai. Visit the famous Kapleshwara temple, St. Thomas Church, Art Gallery, St. George Fort and Marina beach, the second longest beach of the world. Return to the hotel for the night stay. In the morning leave for Mahabalipuram. On your way, stop at Kanchipuram, to visit Shiv Kanchi and Vishnu kanchi temples. Carry on your drive to Mahabalipuram, arrive and check in at the hotel for overnight stay. In the morning visit the rock cut caves built by the Pallavas between the 6th -8th centuries, Panch Ratha temple and the 7th century Shore Temple. You can enjoy your evening on the beach side. Overnight stay at the hotel. In the morning leave for Tanjore; your first stop will be at Chidambaram, at Golden Natraja temple. Then travel to Gangekondcholapuram to visit the Shiva temple. It is said to be 1000 years old. Your next stop will be the sacred Kumbakonam water tank. It is believed that after every 12 years, the waters of the 9 sacred rivers including the Ganga meet here. By evening, you will reach Tanjore. Check in at the hotel for an overnight stay. In the morning visit the Brideshwarar Shiva Temple at Tanjore. This temple is an example of the excellent architecture of the Chola dynasty. Then visit the Raja Raja Chola art gallery to view the bronze and stone sculptures made between the 9th-16th centuries. In the afternoon drive to Trichy. 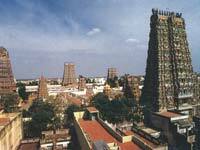 In the evening, visit the Srirangam Vishnu temple. Then visit the Rock Fort and the famous Vinayaka temple. Return to your hotel for overnight stay. In the morning leave for Madurai, arrive and check in at the hotel. In the afternoon visit Thirumalai Nayak Palace followed by a visit to the famous Meenakshi temple. Then visit the extraordinarily beautiful, thousand pillared temple that was built in the 16th century. Return to the hotel to spend the night. After breakfast leave for Periyar, arrive and check in at the hotel. Visit the different spice plantations like cardamom, cinnamon, peeper, clove and ginger in the afternoon. Also visit the tea, coffee and vanilla plantations. Then visit the Periyar Tiger Reserve by boat to take a glimpse of the wild animals. After breakfast drive to Kumarakom to board the Houseboat Cruise. Take this cruise to enjoy the splendid greenery of Kerala. Dinner and night stay on the Houseboat Cruise. The Houseboat Cruise will drop you at Alleppey, from where you can drive to Kochi. In the afternoon visit the Dutch Palace, Jewish Synagogue, Chinese fishing nets and St. Francis Church. Late in the afternoon watch the traditional dance of Kerala, the Kathakali. Spend the night at the hotel. In the morning leave for Kovalam, arrive and check in at the hotel. Relax and enjoy at the beaches. You can also enjoy the sun- baths. Enjoy the lush greenery of this place. You may also observe the daily chores of the people here. These four days, you can spend in your own way. Transfer to Trivandrum airport to board flight for Chennai. In Chennai after a little sightseeing and dinner transfer to Chennai International airport to board the flight back to your country.